The Realme 1 with the 6 GB and 3 GB RAM models have already been on sale since 25 May. The Oppo Realme 1 has a new variant which is going to go on sale today for the first time. It is the 4 GB RAM Moonlight Silver version of the Oppo Realme 1 and it has a price tag of Rs. 10,990. The phone is an Amazon exclusive. 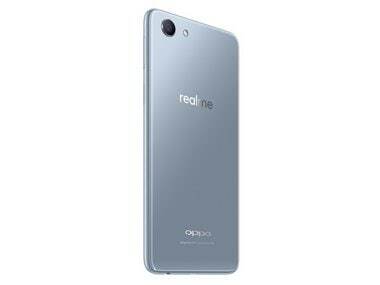 Oppo Realme 1 Moonlight Silver. The phone has a 4 GB RAM + 64 GB of internal storage which can be expanded to 256 GB via a microSD card. The phone is powered by the capable Helio P60 chipset and it runs on Android 8.1 Oreo overlayed with Oppo's custom Color OS. The phone directly competes with the Asus ZenFone Max Pro M1 and the Redmi Note 5 Pro. The Realme 1 with the 6 GB and 3 GB RAM models have already been on sale since 25 May on Amazon India exclusively. Other features of the Realme 1 include a 6.0-inch full-HD+ LTPS display with a resolution of 1080 x 2160 pixels in an 18:9 aspect ratio. The smartphone does not feature a fingerprint sensor, but sports Face Unlock instead. Realme's senior product manager claims that the Face Unlock has a reaction time of 0.1 seconds. In terms of optics, the Realme 1 sports a single camera setup at the rear with a 13 MP sensor, and an 8 MP sensor up front. Realme 1's camera has the capability for face, skin and gender recognition, along with support for AR stickers on both front and back camera, claims Oppo.